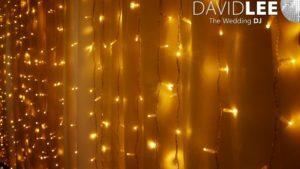 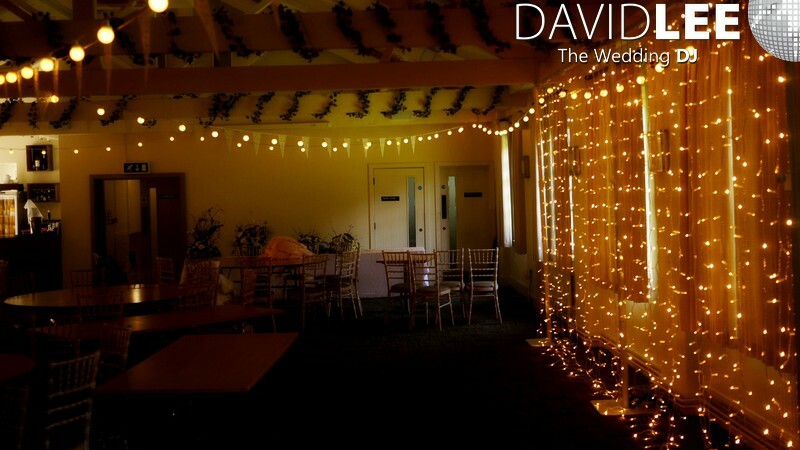 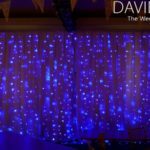 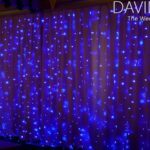 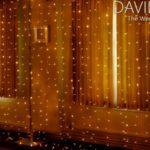 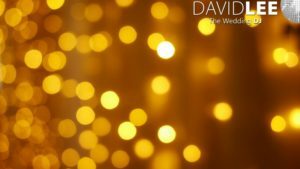 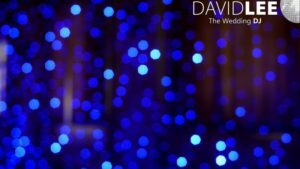 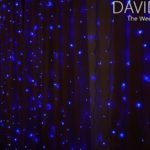 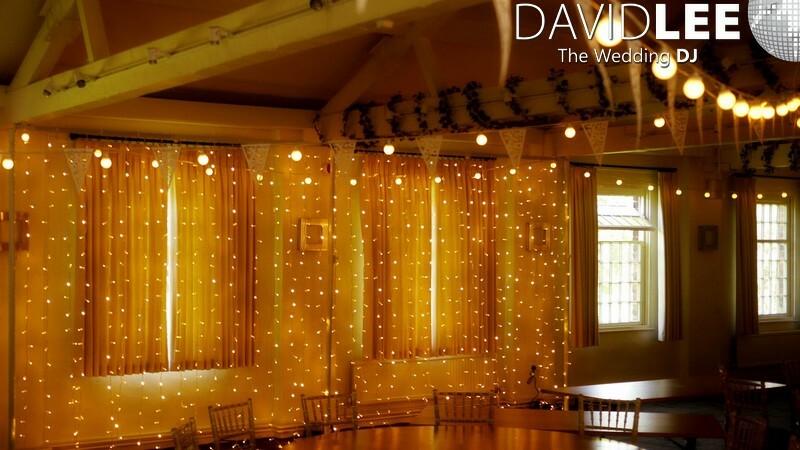 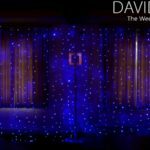 Fairy Light Naked & Semi Naked Backdrop for your wedding. Currently available in Warm White or Cool Blue. 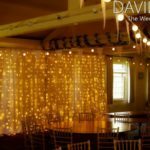 The ideal way of adding that something extra. 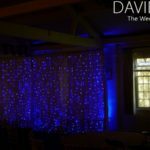 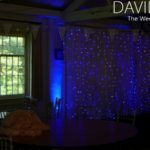 Help to highlight or hide function room features with my unique wedding backdrop. 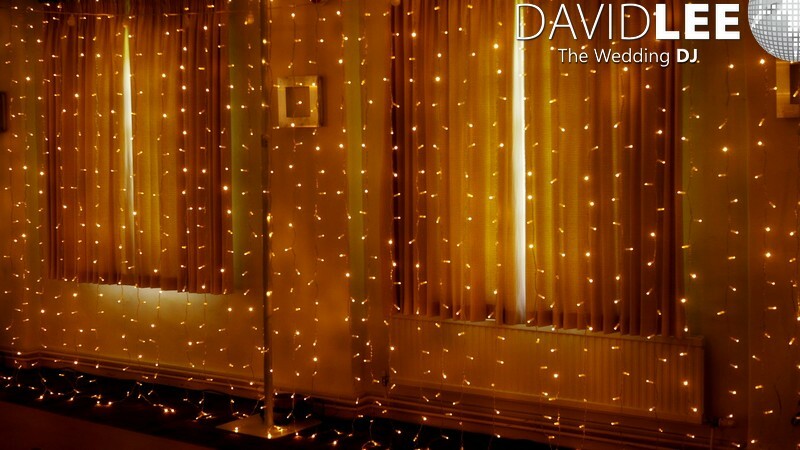 The Naked backdrop is just that. 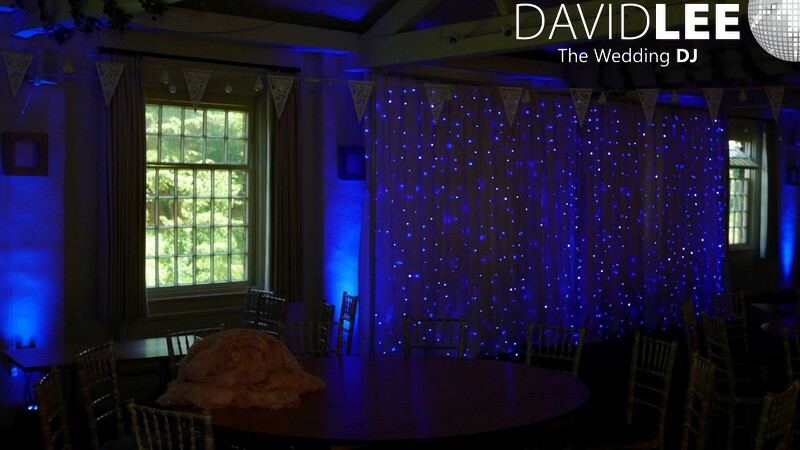 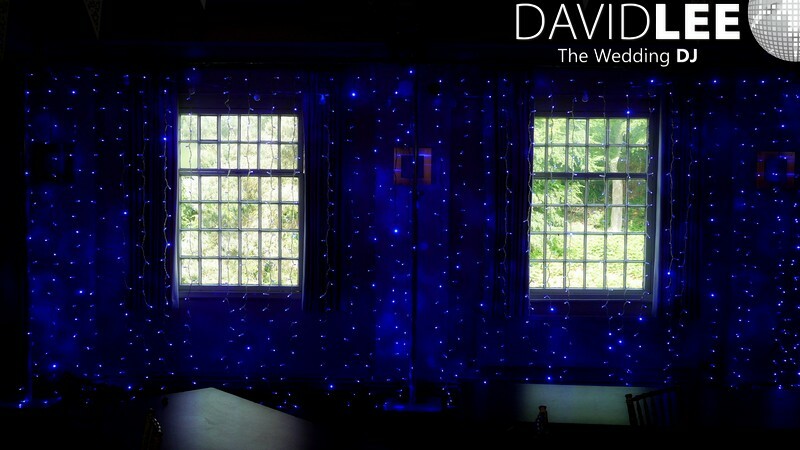 Fairy lights fully exposed to give a glow over the head table and to light up the wall behind. 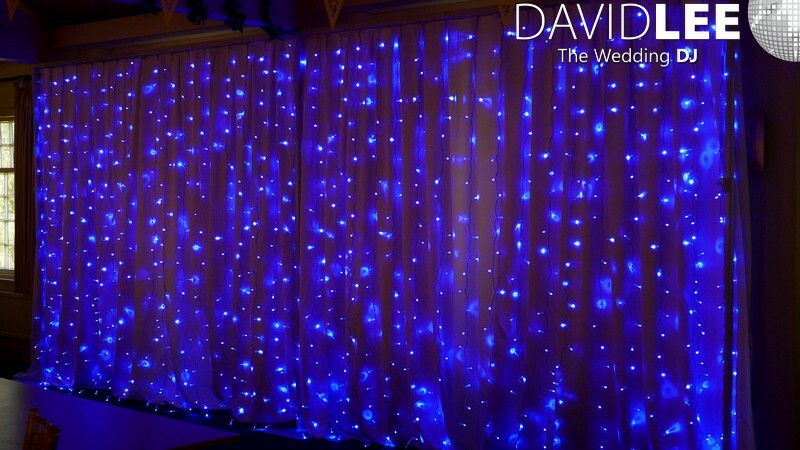 Ideal for highlighting features like open brickwork etc. 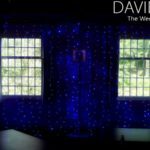 Windows and arch ways. 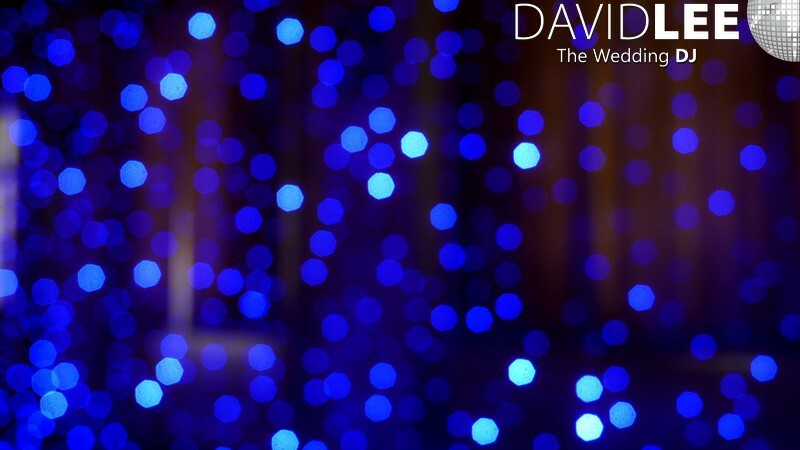 Sometimes just to have the light to bounce of the wall to give an all over ambient glow. The full Fairy light experience. 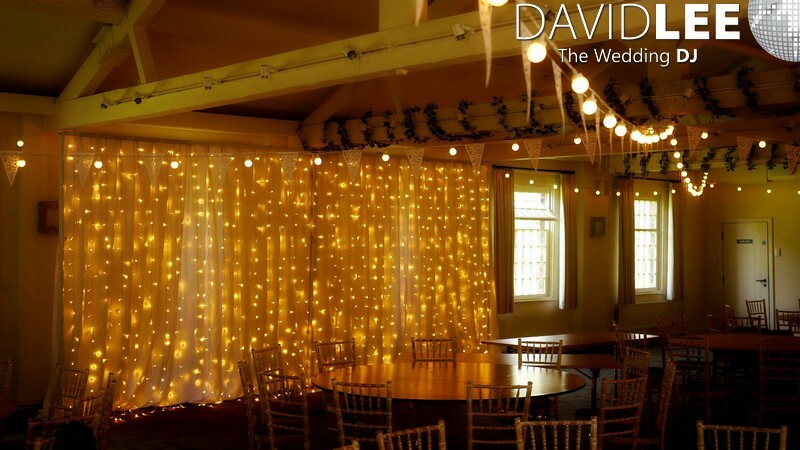 Again the fairy lights are fully exposed but with a curtain behind. 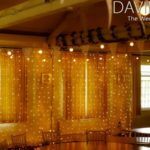 Sometimes you want to hide a certain something that is directly behind the head table. 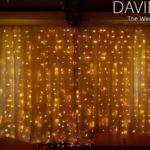 Again you will have naked lights experiance with the reflections on the cloth to add to the effect and hide the unwanted. 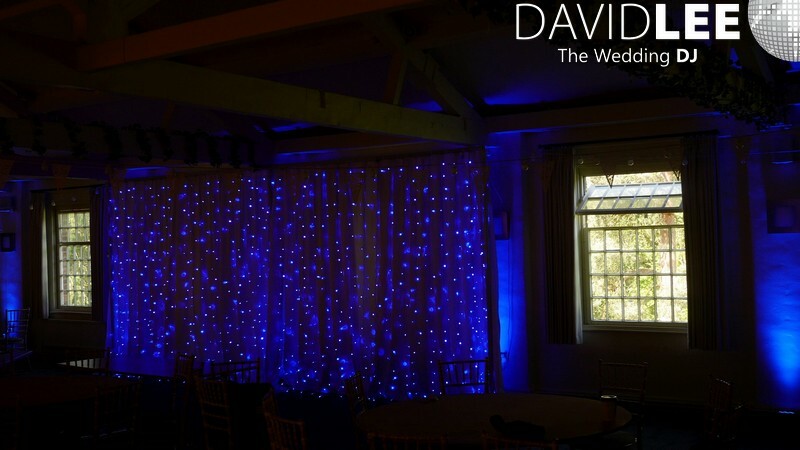 Available and adjustable upto 3m high and 6m wide. This size will comfortably highlight the head table at most weddings. 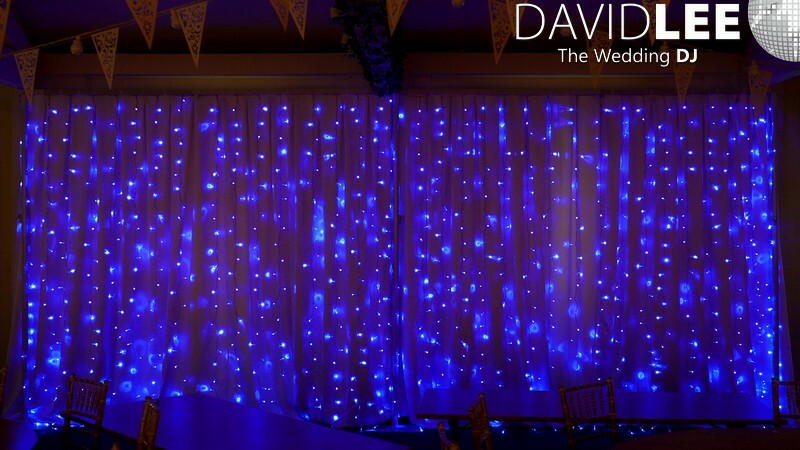 The backdrop cloth, if used, is fully fire retardant, so completely safe to use regarding health & safety. 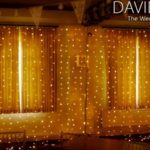 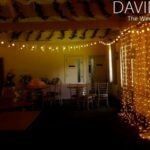 You can hire this service on it’s own or make a special package and use alongside the festoons, uplighting and of course my Wedding DJ Services. 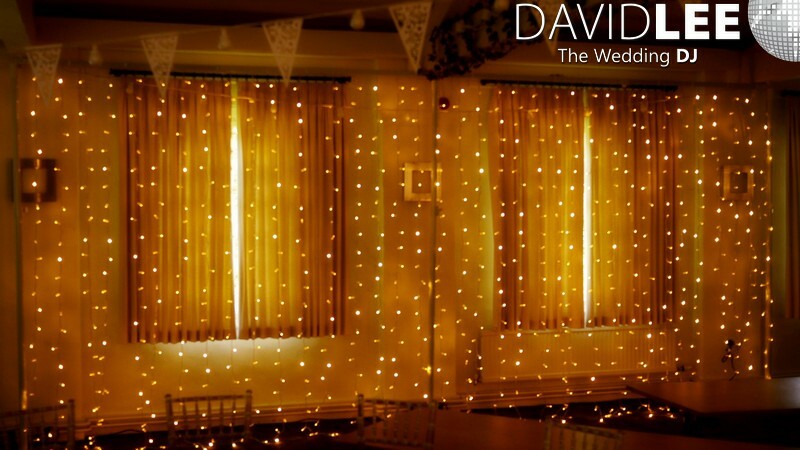 Get in touch for to check availability, and package prices.